Kata camera bags are some of the best bags in the market. The packs have been voted as the best camera bags for dslr. The bags come with a number of great features which make them great to have. Carrying style: you can carry the units in different ways. For example, you can carry the bag as a sling bag or as a back pack. The cool thing is that you can easily set it in place regardless of whether you are left or right handed. Camera strap: the strap aids getting the weight of the camera off your neck when you are carrying the camera. 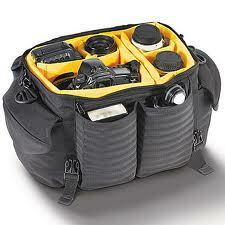 To take off the weight you should attach your camera to the straps of the bag and you will be good to go. Doing this ensures that torso is the one carrying the weight—it’s not the neck that carries the weight. This ensures that you are comfortable when shooting. Toblerone: this is aimed at ensuring that your camera is safe. The Toblerone is located on the bottom and at the dangerous spots of the bag. Its main aim is to protect your case from bumps, tears and sudden shock. The Toblerone absorbs the shock ensuring that your camera is safe. The manufacturers of the bag say that the Toblerone also aids in elevating the bag above any standing water and wet spots thus keeping your back as dry as possible. Customizable: according to their designs, kata bags for Canon are easy to customize. You can customize the bags using the modi-vers divider system which makes it possible for you to protect your equipment while at the same time creating custom compartments for your unique equipment. The cool thing is that you can cut custom dividers in order to fit any size that you need. To make it easy for you to find even the smallest components, the bag is made of yellow material. Additional bags: do you have additional bags that you need to carry with you? 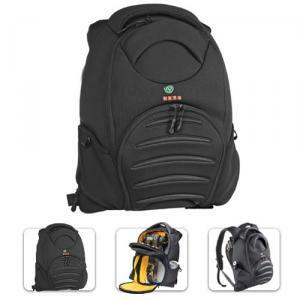 Kata bags for Nikon are compatible with the Kata EPH system; therefore, you are able to connect additional bags in order to have additional carrying possibilities. Extended wheel system: if you are traveling for a long distance and the bag is too heavy for you, you only need to slide the Kata insertrolley into the sleeve of the bag and you will be able to pull the bag. This is what you need to know about Kata camera bags. For the bags to give you the service that you deserve you should buy them from a reputable source.